The Benefits Omega 3 Fatty Acids provide for a vast array of health issues is amazing. One of the secrets of these oils are their anti-inflammatory properties. While all oils provide lubrication, just like in your car, without the benefits omega 3 fatty acids bring to us, we would be as stiff as the tin man- but from the CELLULAR level on out!! these 'Essential Fatty Acids' are a vital component of the cell wall in every one of your cells in your entire body. And because they are liquid at body temperature, unlike most Saturated Fat and 'trans' fatty acids, when you get adequate amounts of n3 fatty acids, they keep your cell walls, joints, skin and just about everything else in your body supple and flexible. amounts up to 3.5 g of fish oil per day." Really the key to the benefits omega 3 fatty acids are their inflammation fighting ability. Aside from keeping cell walls healthy, most all the fish oil health benefits are due to this ONE super ability of n 3 fatty acids. Inflammation is one of the most insidious and least understood causes of most illnesses- and it's still almost completely unrecognized as the source of these problems. While inflammation is not the ONLY reason that we have health problems, if chronic inflammation could be eliminated, it would reduce a huge number of chronic health problems that plague westernized nations who get very little n 3 fatty acids in their diets. The electrical system of the heart is a complex intricate machine that never stops or pauses your entire life- that is without causing some major problems. While modern medicine has created drugs and even implanted electronic equipment in order to help those people who have some of these dangerous and uncomfortable heart electrical disturbances, they don't always work so well. In fact, the side effects of some of drugs that are supposed to IMPROVE these problems can actually lead to worse and different heart rhythm disturbances. These benefits, however, are not the 'get a pain and pop a pill' kind of benefits. In other words, n 3 fatty acids need to be taken over months and years in order to have positive benefits. Again, they act to help decrease inflammation and slowly, over months and years, pain that has inflammation as a contributing factor can improve. But don't make the mistake of thinking that because these effects aren't immediate, that they are not POWERFUL. Sickle cell anemia and Rheumatoid Arthritis are some of the most painful chronic conditions that there are. If it can help sickle cell patients to have fewer trips to the hospital for a 'sickle cell crisis' then they are likely to be able to help YOUR painful chronic condition too! 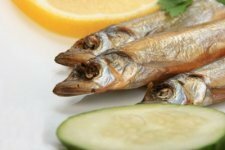 "Supportive but not conclusive research shows that consumption of EPA and DHA omega-3 fatty acids may reduce the risk of coronary heart disease."